After 12 years in Seattle, Ichiro made the switch to New York – just days before the July 31st trade deadline. Previously in the Recap series, I discussed some of the trades that occurred in early-mid July. As the trade deadline loomed on the horizon, GMs became more aggressive and went after the more coveted players that were being shopped on the block. Another superstar has entered the fold in New York. 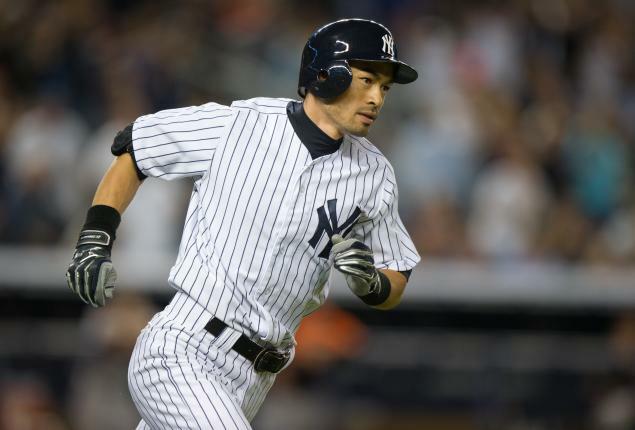 Ichiro (38) will merely serve as another insurance OF for the Yankees. Yes, he had 10 consecutive 200+ hit seasons. Yes, he batted above .300 for 9 of them. However he is on the decline. In 2011, he had career lows in hits (184), BA (.272), and OBP (.310). While he is still racking the SB count (and those will go down soon as well), he cannot beat out the infield single as easily as he used to. His biggest asset was his quickness, but his second was his gold glove. He still is a premier defender and will provide a nice defensive substitute down the stretch. Until Gardner returns, Ichiro will most likely get the nod. If he does well, Manager Joe Girardi will stick him somewhere else (depending on the FA this offseason). On the other side of the trade, Seattle is clearly making a break from the Suzuki-era; they are trying to rebuild and create a new face to the franchise. These two 2008 draftees will help out one way or another. Of the two, Mitchell has greater potential but Farquhar will make the quicker impact at the major league level. Conclusion – This was more or less a dump by Seattle in order to transition to an Ichiro-less future. Possibly the biggest trade of the deadline, tremendous talent and need passed hands here. The Tigers get a phenomenal pitcher in Sanchez (Lazarus over at The Blackboard does an excellent analysis here), and shore up their IF with a solid return in Infante. Miami is the long-term winner here without doubt. These blue chip prospects have already shown they will make more than capable major league players. While Turner’s arm hasn’t been great this year, the potential has been seen in the minors and will definitely pan out up here. Brantly was supposed to be the future battery of Detroit but their urge for another WS championship erased that chance. He was superb in AA but has had recent struggles in AAA. His speed along with Miami’s excellent player development team will turn him into a contact threat behind the plate. The last player of the deal, LHP Brian Flynn, has shown poor K/9 and H/9 (7.2, 9.3 over two seasons), but his natural skill set makes him a player to look out for over the next few years. On another note, this trade marks the first MLB draft pick swap, and we will certainly see more of these ahead. Conclusion – Detroit increased their postseason chances dramatically, while Miami continues to bring in talented youth…. and sell star veterans. The Astros continue to trade for youth during their massive rebuilding stage. While they did give. 17.7 mil to help the Pirates with Wandy’s contract (30 mil), they have shed the final remnant of large contracts from their squad. SS Jed Lowrie is the highest paid player with 1.15 million. In return for their ace they receive a 22 year-old high upside OF (ranked 8th in the Pirates organization), a AAA All-Star with good command in Owens, and a long term project with Colton Cain. If Cain can lower his BB and hit count he can become a solid 4-5 starter for Houston. Pittsburgh did pay a hefty price for Wandy, but they have made it clear they are in it to win it in 2012. The fact that Wandy did not leave the N.L. Central, let alone the N.L. is huge. The biggest fear for teams looking for a starter was his ability to pitch outside of his league; the fit is perfect. Miami continues to fire-sale its veterans. This time, its the ex-N.L. Rookie of the Year, three-time N.L. All-Star, and defensive gem, Hanley Ramirez. Once his contract ballooned Miami wanted no part in it (Even after they built a new stadium and garnered tons of revenue.) Something is going on here. Either their is enormous corruption going on in the front office, or they sincerely could not afford him even after agreeing to an albatross contract (If so, then why would they sign Reyes, Buehrle and Bell???). Whatever it is, they have moved on and hope to make a run in the coming years with superstars Giancarlo Stanton and Jose Reyes. The Dodgers were the biggest team willing to bite the shotgun-sized bullet, and will take the rest of his contract. Will Han-Ram perform pre-2010 or will he continue his disappointing play? I believe the former. In a formidable lineup with Matt Kemp and Andre Ethier, a city where there is plenty of money, and a front office that is actually welcoming, he is setup for success. Expect a turn around from Han-Ram post deadline. The side-arming Choate provided solid relief in Miami and will help fill out the Dodgers’ pen (2.49 ERA and 27 Ks in 25.3 innings of 2012). The 22 year-old Eovaldi is young and and has had some major league success with a 3.96 ERA in 91 innings. Scouts say he needs to improve his changeup in order to complete his arsenal of a fastball and slider; his ceiling is a #5 starter, but he will most likely be eased into the bullpen. 23 year-old McGough has kept the HR count down and posted a 83-32 K to BB ratio in 77 innings. He will slot in relief as well when the time comes. Conclusion – Miami did not get nearly enough talent as they should have, but accomplished sending Hanley’s contract away. Los Angeles gets a premium SS and a nice addition in the pen for their postseason chase. 28 year-old Zack Greinke has been traded to Los Angeles in exchange for three prospects. The Angels are all in for the 2012 playoffs. In possibly the toughest division in baseball, they must face the Rangers and Athletics, both of whom have terrific rotations and bullpens. In order to keep up, LA had to give up 3 of their top 10 prospects (according to Baseball America). Greinke is an ace and will be sitting in the #3-4 slot for Anaheim. Would that not scare you? Weaver and Wilson both have 13+ Wins, Haren and Santana have ace-like talent, and now you add Zack Greinke? The 28 year-old posted a 9-3 record with 122-28 K to BB ratio in only 123 IP with Milwaukee. He will provide immediate help and be a dominant force in that rotation. Segura, the best prospect in the deal, is 22 and sat with a .294/.346/.404 line and 33 SB last season in AA. His potential is through the roof and provides premium IF offense and defense. 23 year-old John Hellweg has posted a K/9 over 11 three times in his minor league career, as well as a minute 13 HR in 310 IP. Ariel Pena, also 23, has seen almost double the innings as Hellweg (610). While he is not a strikeout artist, his command has shown through a 604-275 K to BB ratio. Milwaukee has done well here. 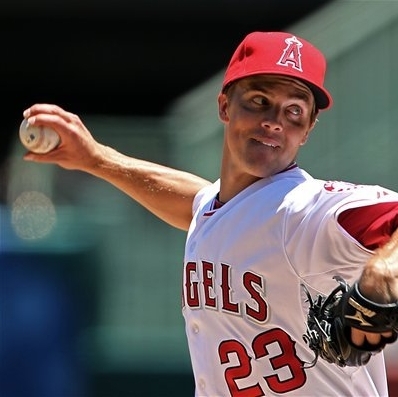 Conclusion – The Angels acquired an ace to slot in their rotation as a #3 or #4, cementing their challenge for the A.L. West and Wild Card spots. In exchange, Milwaukee received a trio of talented youth who can be expected to make a huge impact in the next year or two. In Part III I will talk about the last-minute Dempster acquisition, the Phillies dumping of Victorino and Pence, Liriano’s new home in Chicago, and more. Stay tuned. What do you think about any of these trades? As always, leave your thoughts with us in a comment. Kenny has a B.S. in Nuclear Engineering from Texas A&M University. He enjoys philosophy, law, sports, and data science. Posted on August 3, 2012, in Baseball, Detroit Tigers, Houston Astros, Los Angeles Angels, Seattle Mariners, Trade Analysis and tagged baseball, brantly, farquhar, joe girardi, Los Angeles Angels, Miami Marlins, o infante, sports, Tigers, Trade, wandy rodriguez, Yankees, zack greinke. Bookmark the permalink. Leave a comment.